The theater is always a good place to learn about culture. It would normally showcase arts, music, and literature – three of the most original highlights of history and in the very process, includes travel and experience too. Theaters often preserve these things, while at the same time, transform the essence of their culture to make it more palatable and relatable to the people. 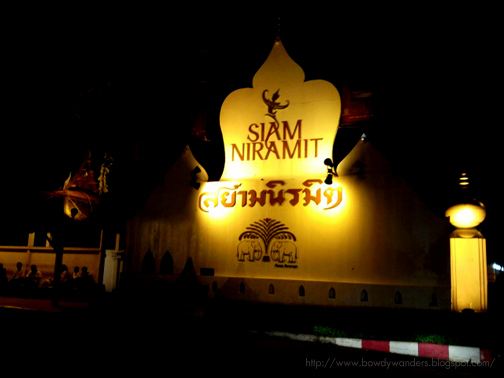 The Siam Niramit of Bangkok, Thailand is one of the best examples of this. This place is not an easy find because it’s in the middle of the middle – somewhere in Bangkok, there’s this busy street and if you don’t look attentively, you may miss this. And, when you reach the landmark, you’ll still have to go deep to reach the entrance. The parking place is quite huge. It could probably house at least a hundred tourist buses and a few cars. Now, the entrance is where the culture learning begins. 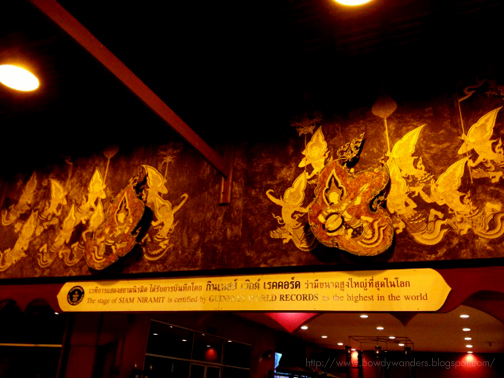 You will be greeted by this mammoth sign saying “The stage of SIAM NIRAMIT is certified by GUINESS WORLD RECORDS as the highest in the world”. Friendly staffs will guide you all throughout the process, from buffet time, to restaurant area, show time, and theater seat process. 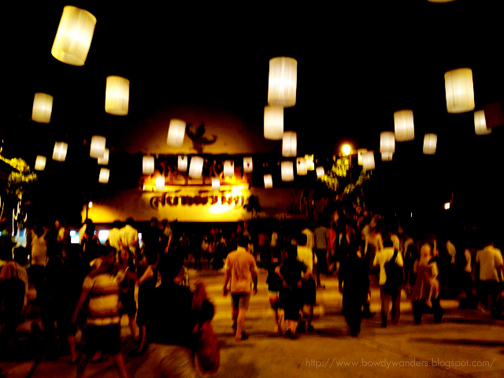 They even have areas for traditional Thai massage, outdoor performances, elephant feeding and souvenirs. Everything is very organized and ready. You will feel chills. You will see how the gargantuan theater envelops the immeasurable talent and skills shared by these talented Thai people. 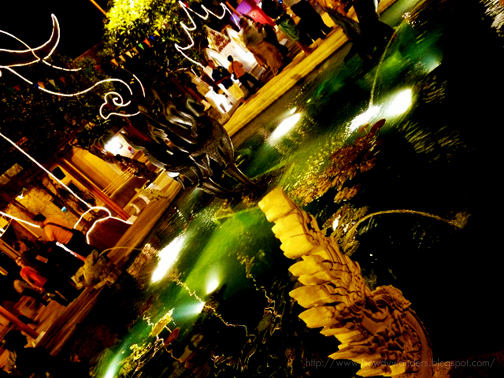 It’s a truly spectacular show of Thai arts and culture, from the onset down to the very closing. It’s divided in three acts: Journey Back in History, Journey beyond Imagination, and Journey through Joyous Festivals. And each act has more than a handful of wow moments to share. You’ll see swimming on stage. You’ll hear the fire burning in hell. You’ll feel the heavens open up in front of you. The production is perfect and the effects used were out of this world. No doubt, it deserves the free flow of applauses and accolades from the audience. Opening Hours: 6:00 P.M. - 9:00 P.M.